Scrapbook Circle has started a monthly item on the blog called Be Real where the designers do either a pocket page type layout or a traditional layout documenting everyday moments. This is my first year jumping into a project life - type album. I didnt want this new commitment to stress me out. I did not want to feel like a failure if I didnt take a picture every day or do a spread every week. So I am doing a very relaxed form of project life where I do as many spreads and scrap as many pictures as I feel like. So far so good. 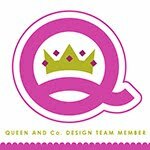 I have also become an i Phone and Instagram addict so those are the photos I am mainly using for this project. 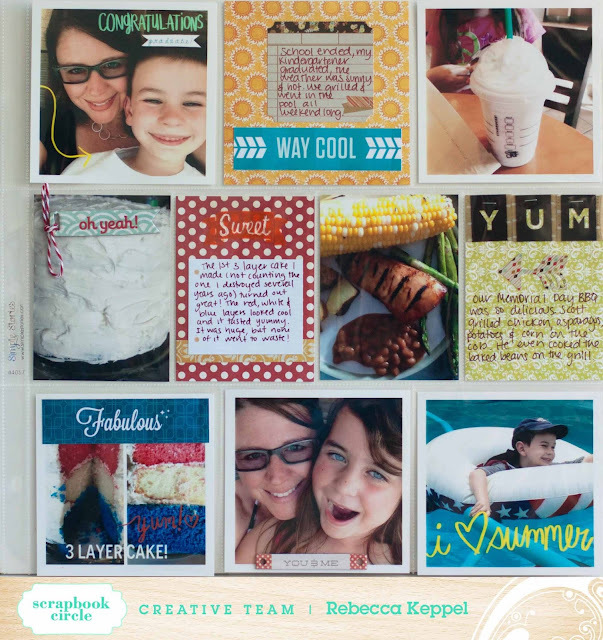 For this month's Be Real I used a mix of Scrapbook Circle's Main, Add On and Party kit for the month of June. And this is what I came up with. The mix of Fancy Pants from the Party Kit and Basic Grey from the Main and Add On totally works, dontcha think? I had fun putting some elements right on the photos. And I added LOTS of handwritten journaling. 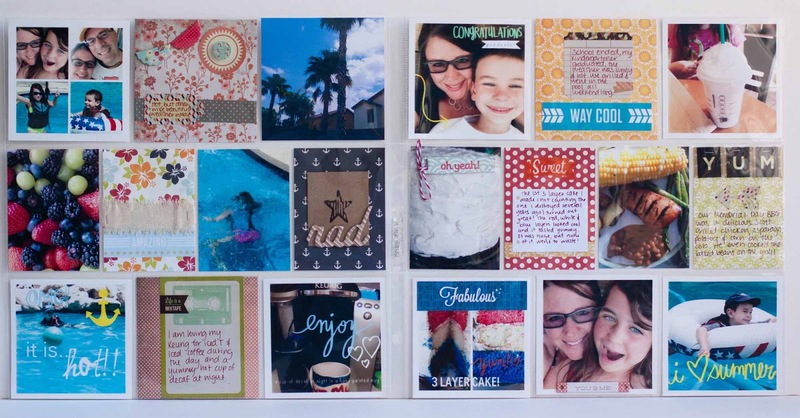 Have you been using kits for Project Life spreads? Love it!!! Love your laid back approach too! I wish I would have thought of that! I stopped at Week 6! LOL! maybe I will try again with the scrap what you want attitude! 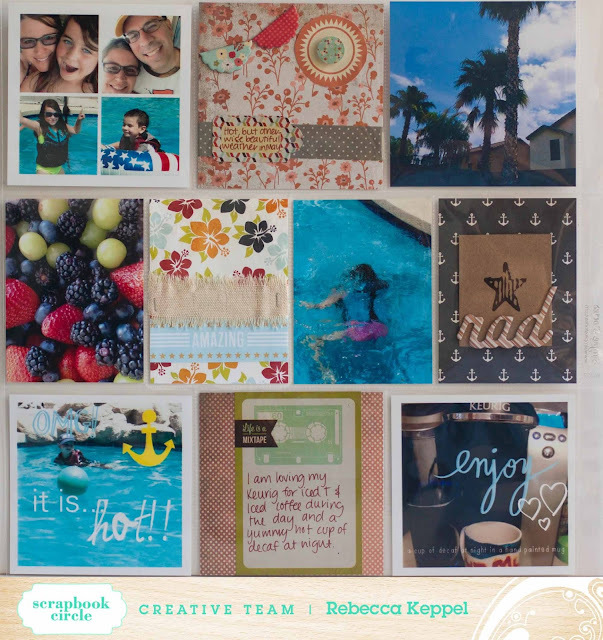 LOOKS fantastic Rebecca--I agree laid back is the way to enjoy this project! Just love this Rebecca, love all your little details, congrats on your feature in the Jot magazine too!